This book was such a great read. From the start, you meet the spitfire that is Mindy. Matt could not have gotten a better best friend. What’s even more amazing is she travels with him to the rodeos. Matt is a champion bull rider while she barrel races. Lance is also a bull rider. Matt blames Lance for losing to him in California. They used to be friends training together. But confusion and tragedy tore them apart. There’s a lot of fire between these two. Lance deals with it by being brash and cocky. For Matt, with the thoughts and dreams he has of Lance, he’s aggressive. The more Lance taunts him, the angrier he gets. You know pretty quick that they’re going to be fighting. There’s no doubt they are both covering their real feelings. When they do finally get together, the next battle begins. They have to keep it secret. Matt’s sure that if word got out, his career would be ruined. There’s no way the rodeo would accept gay bull riders. All it would take is one little slip up in public. Is Matt brave enough to have the love he craves or will he run scared back home and hide. Piper Kay has done a great job of giving us a story with all the bucks, twists, turns, and jerks of a real bull ride. I laughed, cried, and even wanted to shake the guys a few times. 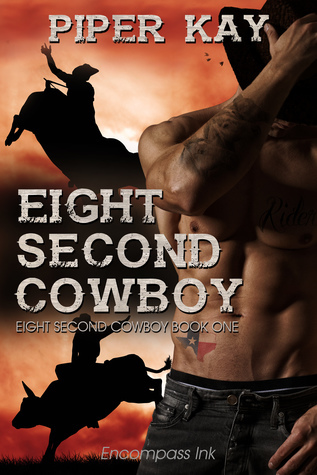 If you love cowboys, then this is a must read. I look forward to enjoying all of her books. I would like to thank the author for the privilege and opportunity of reading this ARC. My review is an honest opinion of the book.